Are you looking to save money on your next home purchase! Great News, this beautiful home qualifies for a No Closing Cost Loan. 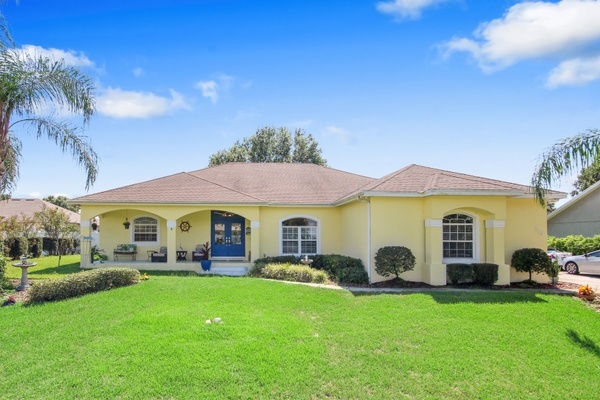 Come feast your eyes on this true pride of ownership nestled away in the peaceful lake shores of Sandy Pointe. Adorned with mature landscaping, beautiful lake views and lake access this home is sure to impress. Current owners are offering to include ALL furniture as an option, with the purchase of this truly move in ready home! This home offers updated wood tile flooring throughout the main living area, a recently installed water treatment system, Alarm system with 6 operating cameras that are easily monitored on your smart phone. Every bedroom including the living room are equipped New TV’s mounted on the wall. All bathrooms have brand new toilets with water saver flush. The kitchen has been renovated and features new kitchen faucet, NEW cabinetry with soft close drawers, quartz counter tops, subway tile back splash and a center Island. All appliances included along with two washers and a dryer. The In-home gym equipment is available with a mounted punching bag. The backyard is fully fenced with a screened in Lanai and beautiful patio furniture making this a great place for entertaining guests. Also available to the community is a 29.2 mile bike trail perfect for the activist to enjoy, don’t forget bikes and helmets are already included. 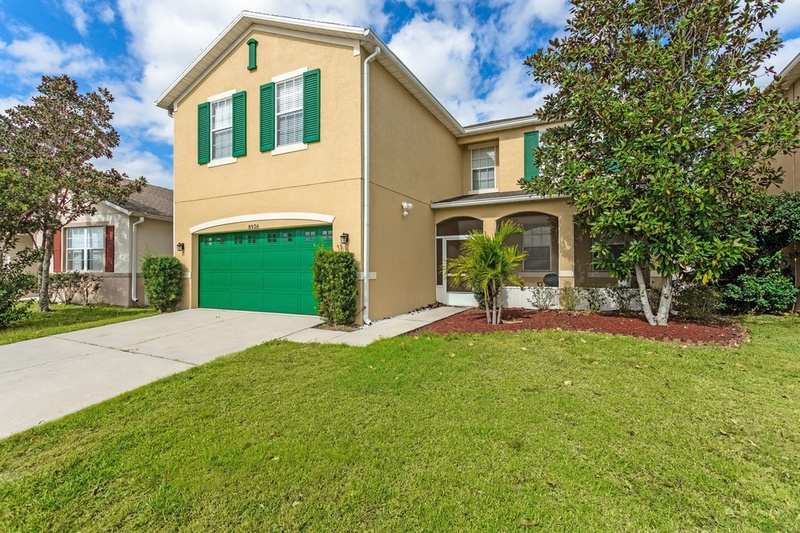 Centrally located and only 2 miles from I-4. Don’t miss the opportunity to see this lovely home in person.